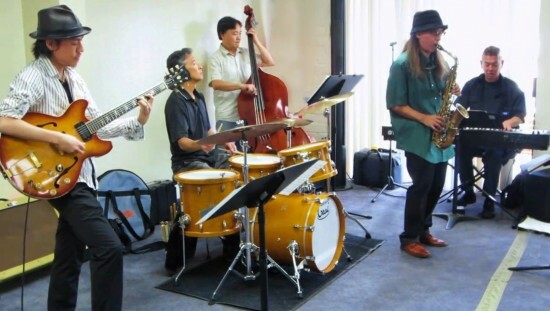 GARDENA — LosAKAtombros will perform improvisational jazz and original compositions on Saturday, June 8, from 7 to 10:30 p.m. at Happa Restaurant in the New Gardena Hotel, 1641 W. Redondo Beach Blvd., Gardena. The band features Tracy Wannomae, saxophone; Yu Ooka, guitar; Scott Nagatani, piano; Taiji Miyagawa, bass; Danny Yamamoto, drums; Kym Hoy, Erika Mariko Olsen and Miko Shudo, guest vocalists. The band’s name is a play on “Akatombo” (Red Dragonfly), a traditional Japanese song. $10 cover at the door. Come early and have dinner at Happa Restaurant. For more information, call (310) 323-8890.